This is THAT neighborhood! The one in which SO many people want to live! Shawsheen Village - one of Andover's most charming & historic area's features New England style tree-lined streets, the smell of wood-burning fireplaces in the fall and winter and the rich history of years gone by. This location is as desirable today as it was when it was originally thoughtfully created. Imagine Halloween bustling w/activity, walk to 2 parks/playgrounds AND downtown Andover. From the adorable screened porch to the extra large,level fenced-in backyard this house will check all the boxes for your next HOME! NEW: SS oven, microwave, cooktop, dryer, hot water heater and boiler. Other upgrades include: CENTRAL AIR, custom bedroom closets, electrical, windows, front entry & walkway, fence, insulation, custom radiator covers and more! 4 bedrooms all w/ hardwood floors, large open Kitchen, Formal LR & DR plus Family Room & 1st floor Laundry. 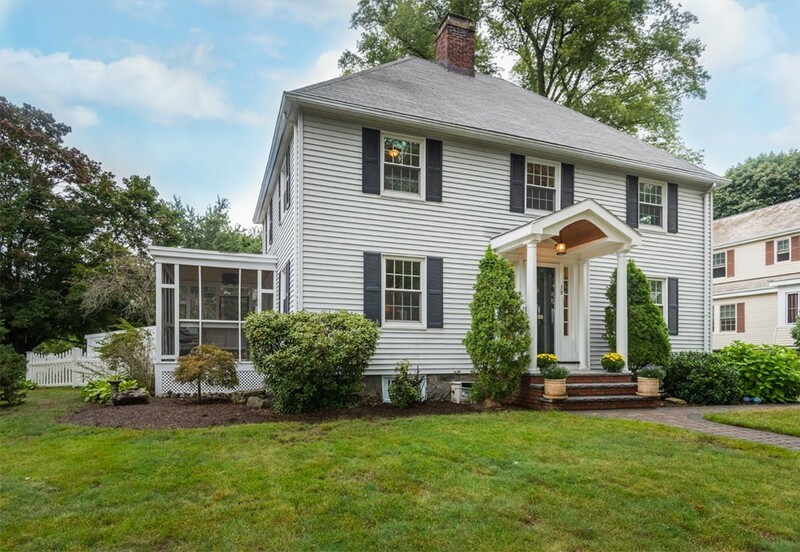 Short walk to downtown Andover, Library, restaurants & train.